Provincial AAA High School Championship Begins Tomorrow! 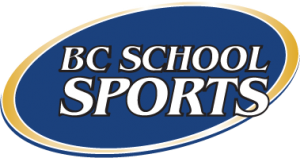 Clayton Heights Secondary School is set to host the 2018 BC Girls High School AAA Championships from November 13-15 in Surrey, BC. This three day tournament will see the top 16 teams in the province battle it out to claim the Provincial Banner. This year’s AAA Championship will consist of 12 Lower Mainland teams, two Vancouver Island teams and two teams from the Interior. Handsworth Secondary comes in as the number one ranked team, looking to defend their title from 2017. However, a repeat will certainly not come easily, as their top competitors will be looking to de-throne the defending champions. The 2nd ranked Cowichan team will be looking to get back on top after winning gold in 2016 and settling for bronze in 2017. Kelowna Secondary, ranked 3rd, will have plenty of motivation after coming in second behind Handsworth in last year’s gold medal match-up. For a full list of participating teams, visit the AAA Provincial Website. The tournament gets underway tomorrow at Tamanawis Park and Cloverdale Athletic Park. Download the full schedule so you can go out and cheer on your team!